As part of Pittsfield Township's commitment, since 2009, to establish a robust multi-modal transportation network, we have worked toward improving and expanding transit services in the densely populated areas of our community. Working with the regional effort to implement transit services in Washtenaw County, Pittsfield has added new routes to provide accessibility, among other things, to its municipal buildings and those who need transit for employment and daily services. In addition, we have expanded the on-demand, A-Ride, services to provide full coverage in the northwest and northeast parts of Pittsfield. 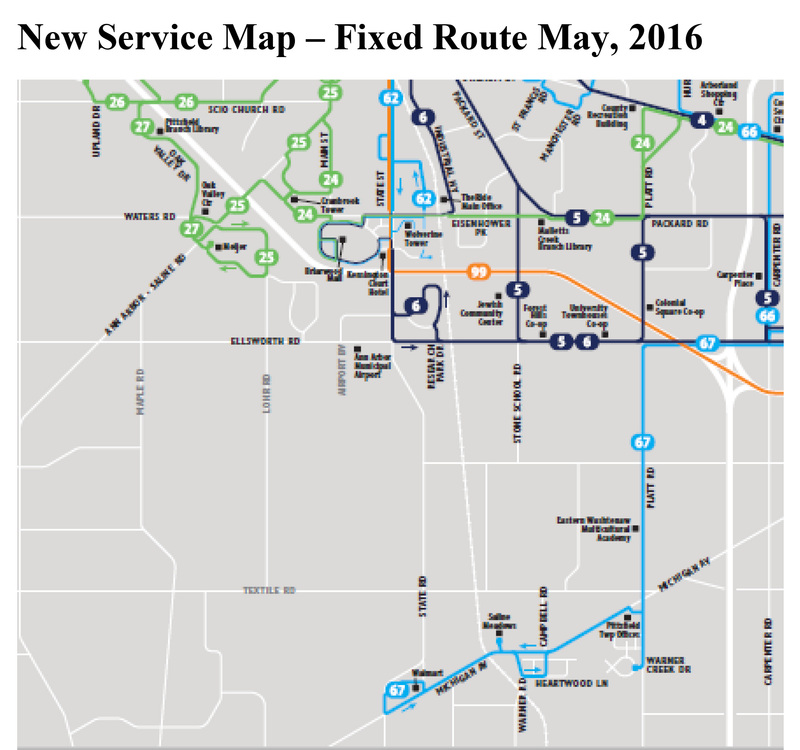 Pittsfield has deployed a unique model of paying for these services through a Purchase of Service Agreement (POSA) with the Ann Arbor Area Transportation Authority that is approved annually by the Board of Trustees. This approval is based on feedback obtained from AAATA through the previous year, as part of their BOT meeting update presentations, regarding ridership and overall operations. This allows us to ensure we are maximizing the use of general fund dollars, which are used to pay for the POSA, by focusing on routes that have adequate ridership and, of course, not placing a tax burden on all township residents. Pittsfield Charter Township hosted a Transit Forum on October 23, 2018 to discuss the effectiveness of our transit services and collect feedback from residents about the needs and concerns as it relates to transit so that we may evaluate how best to provide public transportation in our community. The presentation from that forum is now available for review. 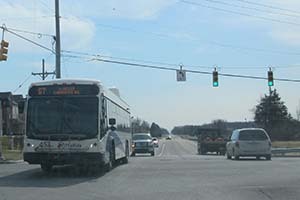 In August 2015, TheRide, in partnership with Pittsfield Township, introduced the new Route 67-Michigan Ave. serving major destinations: Meijer-Carpenter Rd., Pittsfield Township Hall and Saline Walmart-Michigan Ave. Beginning May 1, more service will be added to serve Pittsfield Township residents. Another new route, Route 27-W.Stadium-Oak Valley, will be added serving Pioneer High School, Ann Arbor Ice Cube, Wide World of Sports, Pittsfield Library Branch, Oak Valley Shopping Center, Target, and Meijer-Ann Arbor Saline Rd. Route 4 - Washtenaw Ave.
Route 67 - Platt - Michigan Ave.